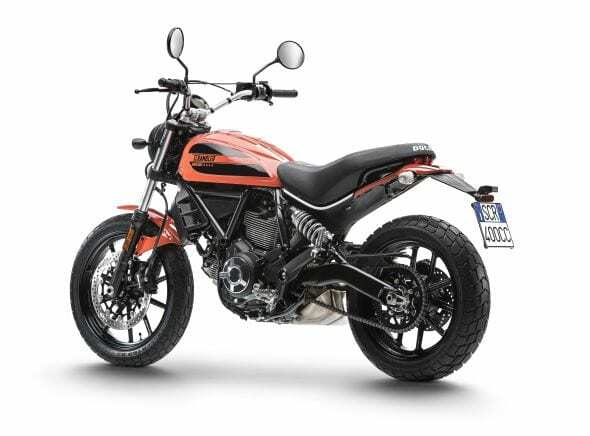 New 2016 Ducati Range Revealed! 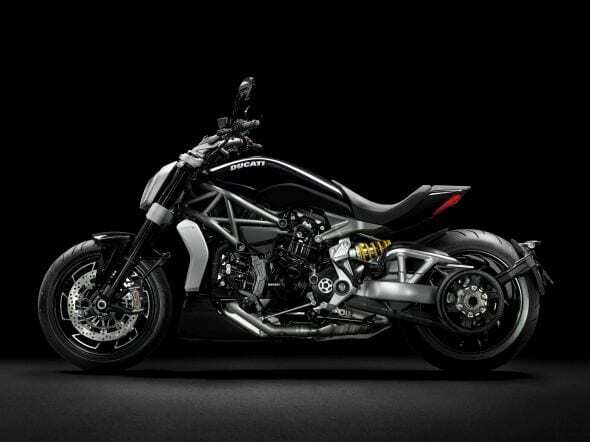 The live show is over, and lower jaws are still being returned to their upper halves, but here’s some of the gorgeous metal Ducati just released upon the world at EICMA. 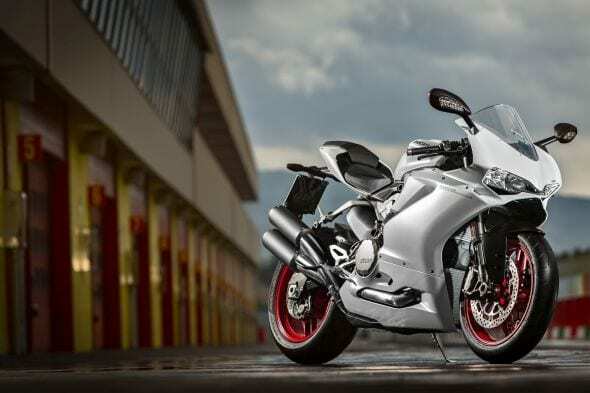 It may seem about five minutes since Ducati released the 899 Panigale, but this is one company that never stands still these days. 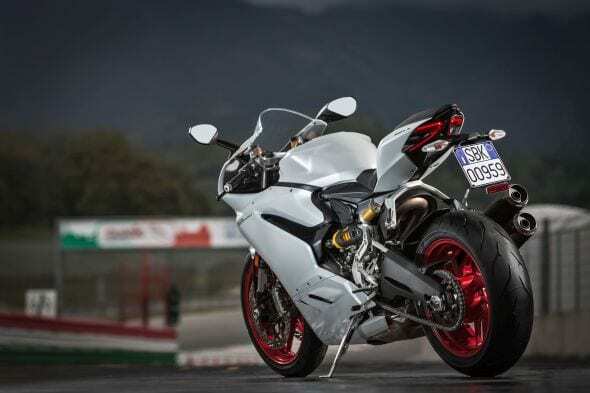 So, here is the brand new 959 Panigale – can you guess what the capacity is yet? 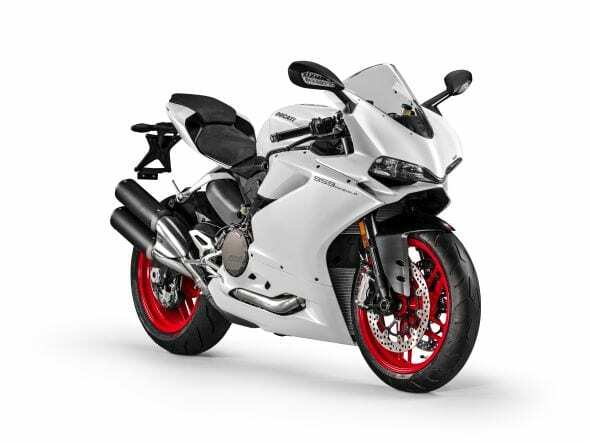 Well, you’d be wrong, it’s actually 955cc, but 959 fits the Panigale brand far better, wouldn’t you agree? 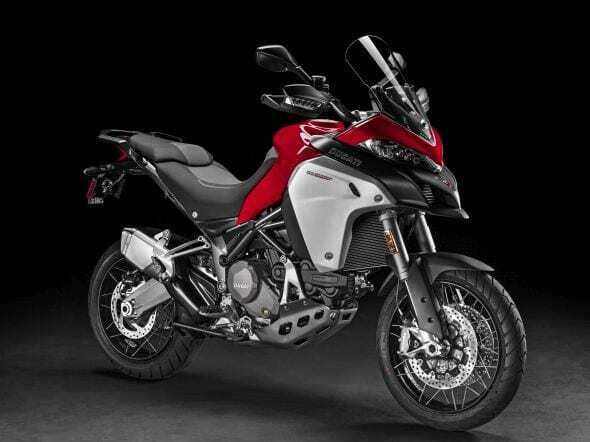 It’s also fully Euro 4 compliant, which may go some way to explaining the huge exhausts – something which is likely to divide opinion. There’s two ways to look at this. 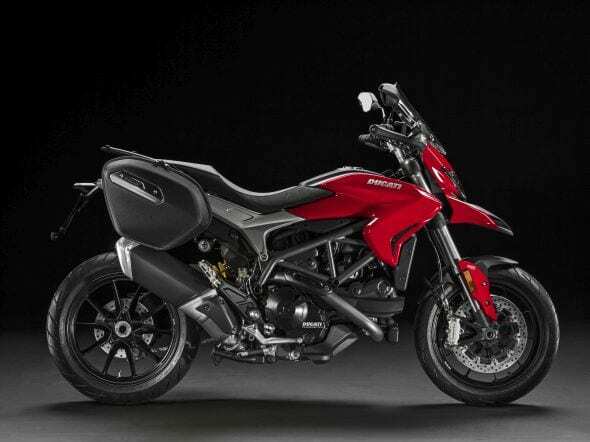 Firstly is that with all the ‘hidden’ exhausts of late, it’d be quite nice to actually see an aftermarket zorst you’ve dropped thousands of pounds on, and we’ve gotten so used now to seeing svelte exhaust systems, that this comes as a bit of a shock. 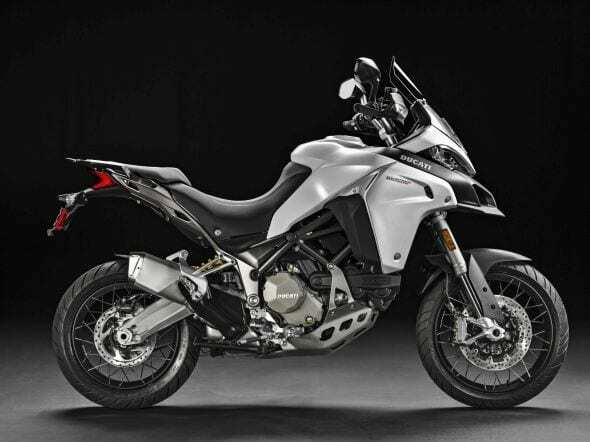 But, Euro 4 means we’ll see a lot larger exhausts on some bikes from now on so at the same time, it is the way it is, we may as well just get on with it and, we kinda missed seeing cans! 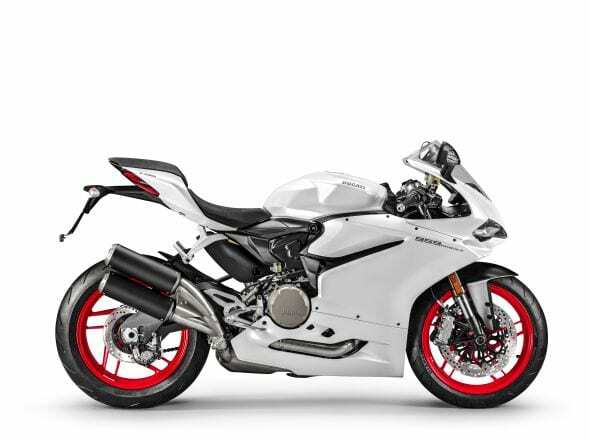 And anyway, there will be a version available which mimics the old 899 Panigale’s exhaust, so not the end of the world. 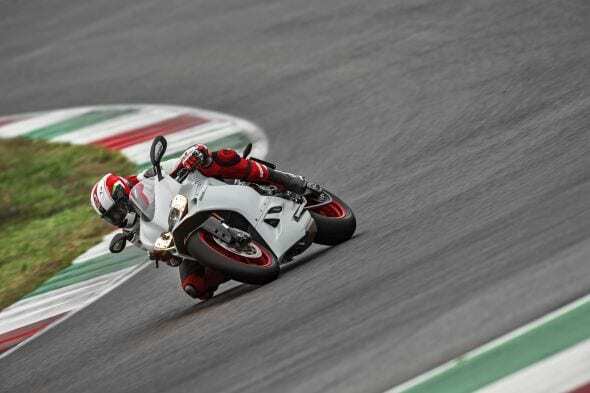 The Panigale still retains all the electronic gizmos of the previous 899, so a ride-by-wire throttle, multi-tiered traction-control, engine brake control, ABS, rider modes and a quick-shifter, plus their DDA data analysis tools are all present. Power is up, but the crucial element is torque, which we always thought the 899 lacked just a smidgen of. 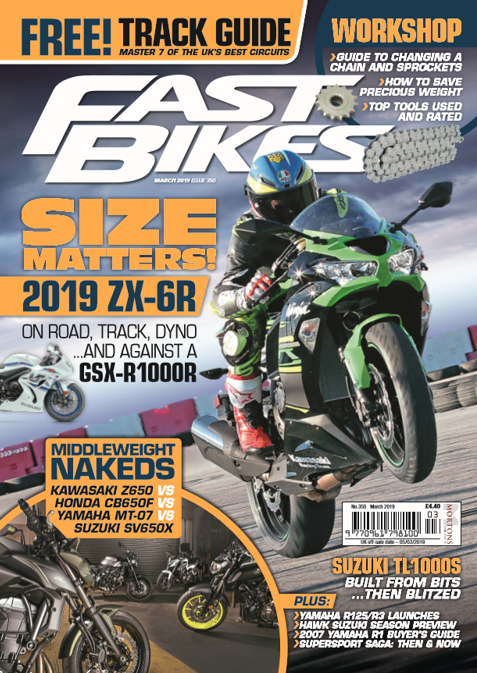 A claimed 157bhp and 107.4Nm of torque (crank based) pushes her along via the Desmodromic motor, which gets some new bits including new conrods that helps her achieve her new stroke of 60.8mm (from 57.2mm – bore remains the same at 100mm), which are lovingly attached to a new crankshaft. 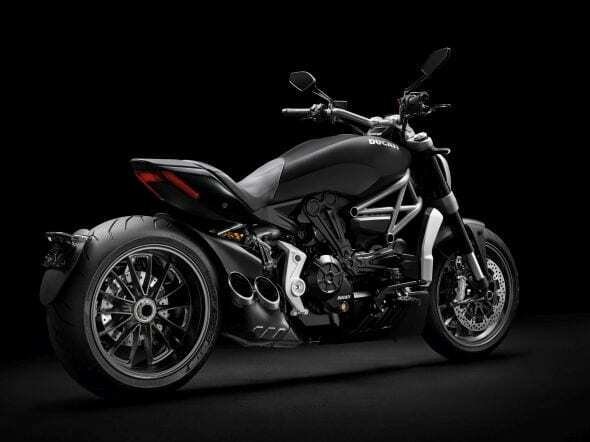 Styling has been tweaked, but otherwise it appears to be just like the 899, bar those huge cans. So, what do you think? 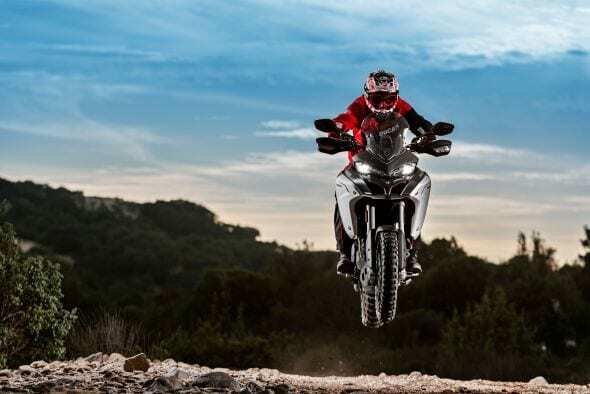 See the 899 in action here! Now this is, well, let’s just say this is another cruiser we’d actually be interested in! 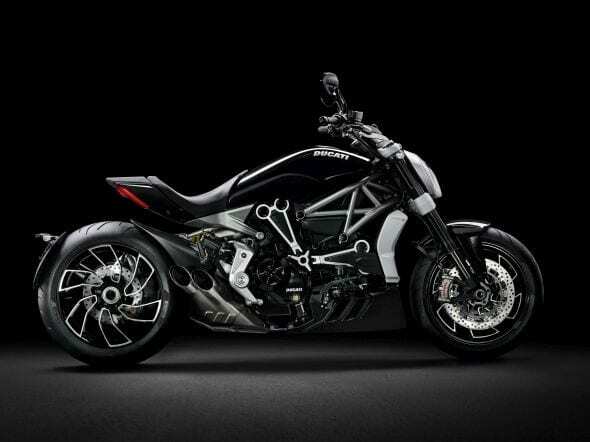 Funny that the other one we like is what this bike is based upon! We think this looks boss, a real ‘custom’ cruiser out of the box but with the skills to be (as well as look) badass. 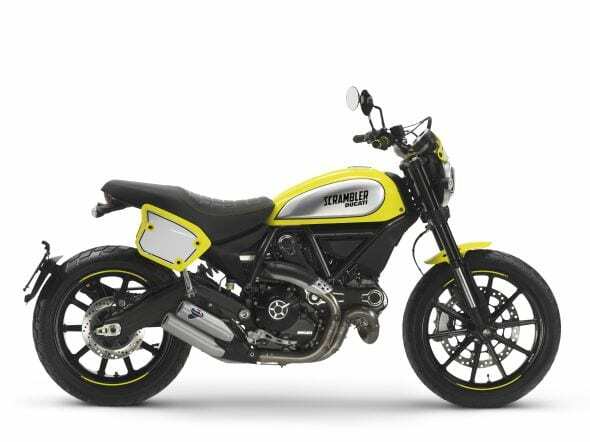 Around 130Nm of torque and 156bhp are impressive from the 1,262cc motor. 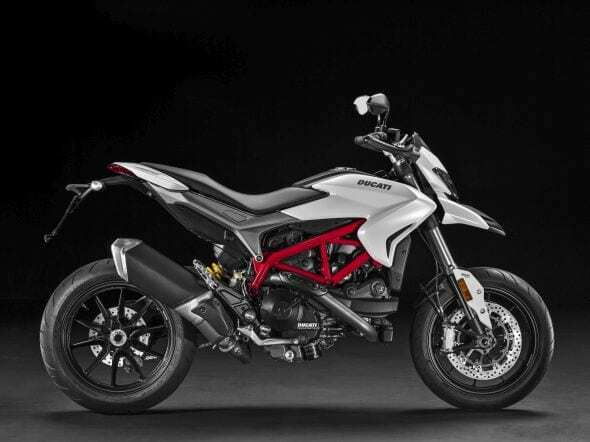 It’s also the first Ducati with a belt-drive, too. 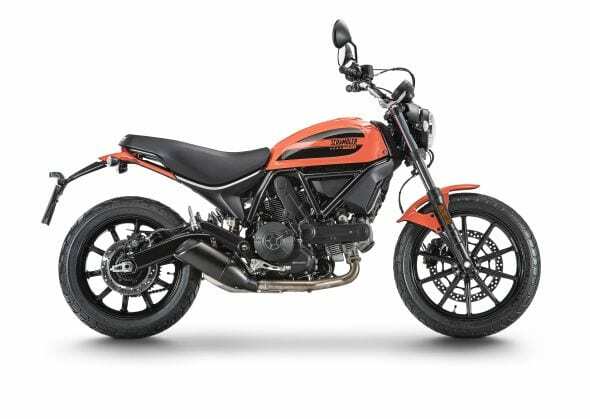 It has rider modes, traction-control and everything else you’d expect from a modern machine. 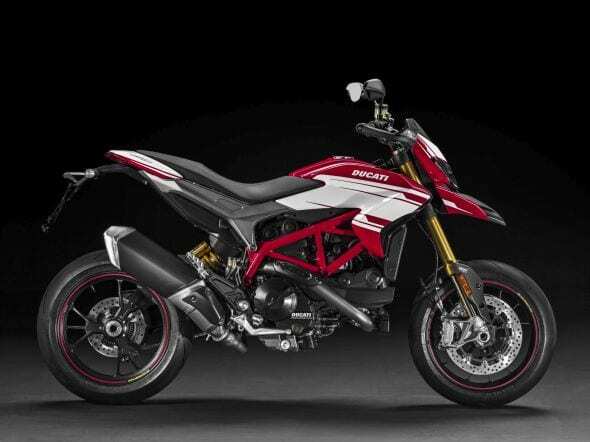 Much like the 959, the new Hypermotard fibs a bit about its capacity as it’s actually a 937cc motor. 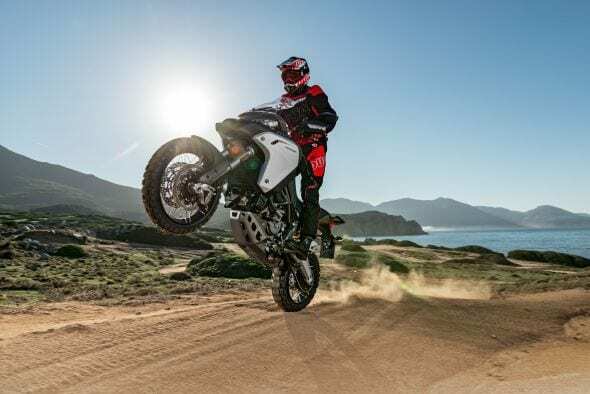 But new it is, with more power and torque, new electronics including all the usual trinkets, while the SP version gets flashy gold suspension to match its inevitably higher price tag over the stocker. We really can’t wait to get our hands on it! There are some other bikes too, which you’ll find pictures for below. We’ll delve deeper into the specs of those we like the most soon, here and in the magazine. But for the time being, what do you think of all their new metal? 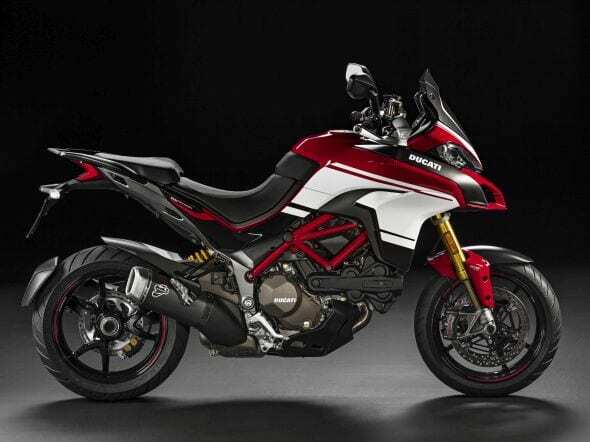 Say hello to near £20k’s worth of Pikes Peak Multistrada! You’re just looking at the exhausts, right? Previous Post:Racers and Champions out in Force at Motorcycle Live! Next Post:2016 Aprilia RSV4 R-FW – 230bhp Track Weapon!